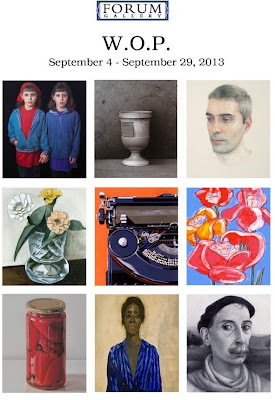 The Forum Gallery starts the Fall season with an exhibit of contemporary and modern Works on Paper, from 1918 to 2013. It includes works by Mark Podwal, William Beckman, David Levine, as well as earlier examples by Charles Demiuth, Lionel Feininger and Pablo Picasso, amongst others. Podwal's work, The Four Holy Cities, is shown in the center row on the right of the invite. 730 Fifth Avenue, New York, NY 10019.